This year amazing things have happened for me, things that have changed me as a photographer and made me grow oh so much! One of those big things was meeting Brian + Allison, the husband and wife photographer team behind the luxury studio Callaway Gable. In March, I had the pleasure of second shooting a few weddings with Brian + Allie, and soon afterwards they invited me to become part of the Callaway Gable team as an associate photographer! I honestly was so flattered and thrilled I practically fell off the couch when they asked me ;). As an associate of Callaway Gable, I shoot a number of weddings per year under their brand as the lead photographer. It’s super awesome for me because it keeps me very busy shooting on the weekends that I am not booked with my own weddings! And also Brian and Allie have taught me a lot of new photo tips and tricks that are taking me to a whole new level as a photographer! It’s definitely an adventure that I am super excited about! Nikki + Dave’s Malibu wedding was the first wedding I photographed as a Callaway Gable Associate. The wedding was beautifully designed and coordinated by Brandi of High Society Events. The ceremony was on the beach in Point Dume, Malibu… coincidentally neighboring the beach I got married on in 2009! Being a former beach bride myself you can just imagine how much I loved this wedding! After the ceremony, we headed to the lovely Villa Sancti di Bella Vista for a fun filled outdoor reception! It was a completely gorgeous day! Thank you to Candice + Becca for shooting with me and assisting on this big day! And now… pictures! 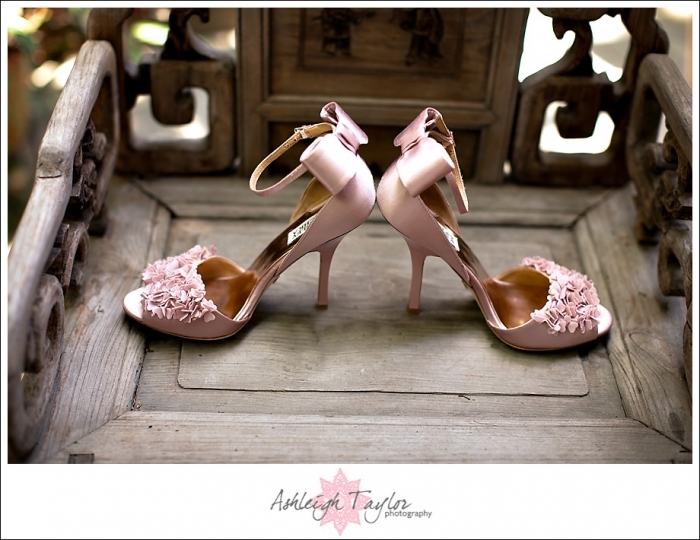 Nikki wore amazing pink Badgley Mischka shoes!! Nikki was incredibly calm and casual while getting ready! Props to her for being such a relaxed bride!! Part of the Callaway Gable aesthetic is using artificial light for edgy portraits. Brian and Allie have taught me how they do this… and this is me putting it into practice!! Ferosh, right?! A bridal portrait in my own signature style! Sighhhhhh! The ceremony set up was gorgeous!!! I LOVE beach weddings!!! A touching moment as Nikki’s dad gives her away. Dave was all smiles throughout the ceremony! And Nikki cried tears of joy! My favorite image of the day….. The sun was harsh but we still worked it for some photos on the beach! Nikki, darling, you are FIERCE! Even though you can’t see their faces, there is something so joyous about this next photo. We then headed from the beach to Villa Sancti for some more portraits. When I showed this next photo to Nikki on the back of my camera, right after it had been taken, she said “awww” and got all choked up. I agree, there is something so tender and evocative about this photo. We ended the portraits with a few Callaway Gable style artificial light portraits. I do have to say, they are pretty rad! What do you think? The reception was just lovely!! Look at that view!! Villa Sancti is an amazing venue for sure! As the sunset these two laughed with each other and enjoyed being married! Just love!!! Jennifer Spekin - These are fantastic. You never cease to amaze!!! Becca - Thanks for letting me be a part of this fabulous day! Such beautiful photos for a beautiful couple! 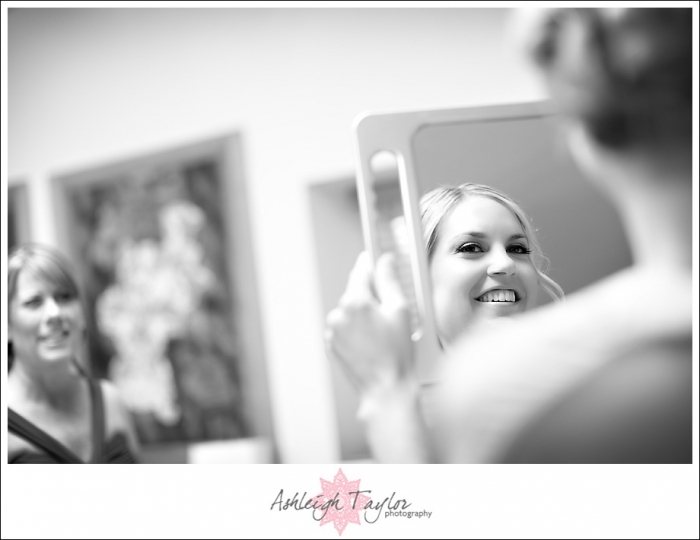 Brian | Callaway Gable - Allison and I are beyond happy with Ashleigh’s work on this wedding. She is a SUPER PRO and a very talented photographer! We are so proud that she is a part of the team! Candice - How the heck did i miss this awesomeness? Beautiful!! Thanks so much for having me along. Had a blast!